Bakeable all-metal valves are one type of the poppet valves. There are 2 kinds of type:all-metal valve angle and Y-inline valves. When the poppet is moved toward the top of the valve, the internal body cavity is open to the system, and flow is unimpeded (maximum conductance). Once the actuator moves the poppet to the bottom of the valve, a copper gasket sealing ring is compressed onto the sealing surface of the lower body of the valve. This action creates a vacuum tight seal and stops the flow. 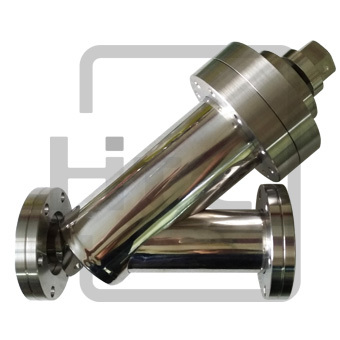 Htc vacuum offers the bakeable all-metal valves are designed to use for use in ultra-high vacuum environment and applications in semiconductor manufacturing, synchronous radiation, vacuum thin film technology, etc. where elevated temperatures preclude the use of elastomers and low temperature gasket metals. 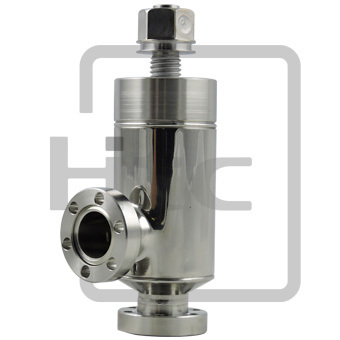 Htc vacuum designs all series angle valves and inline valves suited for vacuum applications with venting processes,high vacuum applications in pumping systems, semiconductor technology, research systems, etc. Temperature operating range: Bakeable to :400C(open), 300C(close). -- CR16 First 150kg-cm, Maximum 250kg-cm. -- CR35 First 300kg-cm, Maximum 600kg-cm.